First let me thank you for taking the time and consideration to read up on the instructors at Silver State Driving Academy. I personally have 9 years of Behind the wheel instruction & state certified testing with Stop & Go Driving School based in Tempe AZ. In that 9 years I was also able to do 2 years of classroom instruction, including but not limited to Desert Hills HS for their drivers education program. I have now brought my professionalism to Nevada. My client base spans from newly permitted teens, to the elderly looking to freshen up their skills. I also am proficient in working with new comers to this country, I have specialized in working with I94 holders. I have failed my test times and that's where my aunt decides I should take driving lessons. I Had Norman as an instructor who is such an amazing instructor. I never once felt nervous about driving with him but I did feel more confident. After taking 6 driving lessons, I finally passed my drivers test with a 100%, that's shocking to me but Norman helped me out so much with parallel parking, which I'm the bomb dot com t now, thanks to his helpful tips! and being safe with the road. I can now go out there and be a safe driver. If you need to take lessons, I recommend this academy and I recommend getting Norman, he has helped so much and I'm very thankful. My daughter had already done her hours but I wanted someone else to teach her how to parallel park as well as give her a "test" like she would be taking at the DMV. I felt she needed to drive with a complete stranger so she would know what it felt like when she took the real test. Norman showed up at the house early, was very professional and my kid said she had never been so relaxed as when she was driving with him. He asked her to let him know how she did on the test and she texted him from the DMV (she got a 97) and he knew who she was and was very pleased for her. It meant a lot to her that he cared. Ask for Norman!!!! From the start I wasn't so confident about getting on the road, but once I took lessons from this academy that confidence built up every session. I started getting comfortable behind the wheel and with Norman enlightening me about what to do and what not to, I now know how to avoid being that crazy careless driver. Since I had a wonderful instructor who truly cared about my overall performance, I passed my driving test! I definitely recommend Norman as an instructor and I highly recommend this driving academy. Overall great experience! I failed twice and was just gonna give up with the driving test, Norman, my instructor gave me the confidence I needed! He's really good and gave me a lot of tips and pointers! Not to mention price was really good! for the 2 hour class I learned so much from Norman, he took me to the DMV routes and taught me what to watch out for. I passed with a score of 92! I don't even know where to start. The service is amazing, the price is pretty good when you consider everything you learn as well. My driving instructor, Norman, was particularly amazing. He didn't only teach me how to pass the test for my driver's license, but also how to drive in real life situations. He showed me tricks to learn how to parallel park, change lanes, know if you can make a yellow light or not, how to properly brake, ways to notice your speed limit, adjust your mirrors. From my first lesson up to my fifth lesson, Norman was always giving me great tips and tricks to make driving easy. He was super understanding and kind when offering advice on what to do and I never once felt uneasy. He made sure I was comfortable and made sure that I understood what I was doing. Quite frankly, it got to the point I was no longer driving with my instructor, but instead with a very helpful friend. 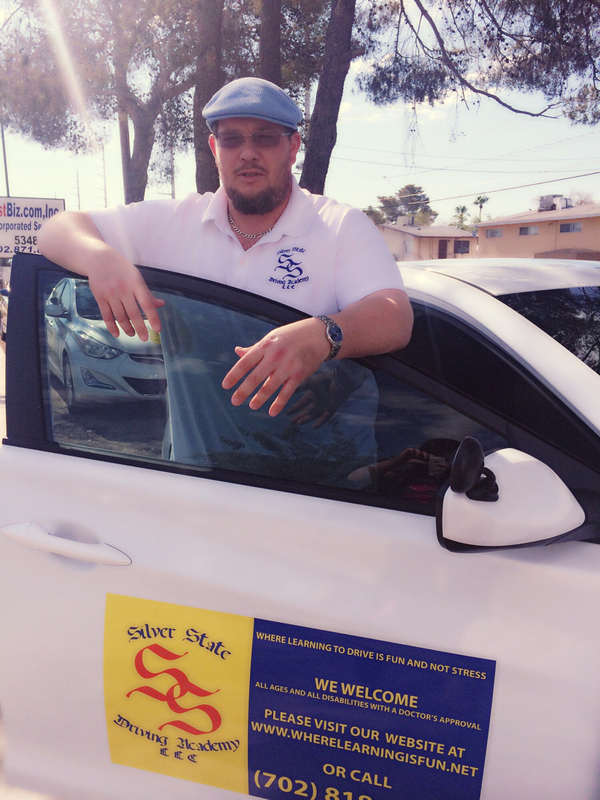 The flexibility offered by this driving school is also great. If I needed to be somewhere, be picked up someplace different, things could always be arranged. I have to say, I passed my test and I feel pretty confident when I'm driving so I definitely recommend this driving school. Norman is the best there is and I'm pretty sure you can't go wrong with him. I'll treasure those lessons fondly for a very long time.